Whether you are moving, downsizing, or finally tackling a long-awaited decluttering project, Metro Self Storage is here to help you get on a path to a more organized life. With more than 40 years in the self storage industry, we know how to make your self storage experience fast, friendly, and affordable. Think of our knowledgeable storage team as your personal household storage consultants. Our modern storage facilities are designed to meet all of your short- and long-term household storage needs with flexible month-to-month leasing options. Our non-climate controlled and climate controlled storage units often feature hard-to-find 24-hour access. How Much Does a Self Storage Unit Cost Per Month? Renting a storage unit is something most people do at some point in their lives. For many, our first storage rental experience happens during college—when it is easy to share the cost of a storage unit. Students pack up their households and team up to rent public storage over summer break. It beats hauling everything back and forth between home and school for four, or maybe even five years. When it comes time to store an entire household of goods or your athletic gear near your home or office, in general, storage facilities are flexible, secure, and accessible places you can trust. However, not all storage facilities are created equal. While accessibility and flexibility are often the most common features amongst storage facilities, the security and maintenance can vary wildly amongst companies. The last thing you want is a break-in or to discover eight-legged critters munching away on your grandma’s antique armoire from Germany. Metro Self Storage adheres to the highest industry standards, and we have an excellent reputation for providing well-maintained, dry, clean, and secure storage facilities. How much does renting a self storage unit cost? There are several factors that determine how much your self storage will cost per month. These include where you live, the time of year you rent a storage unit, the type of storage building, and whether or not you rent a climate controlled storage unit. The two most common types of self storage buildings are indoor where all storage units are housed within a structure, and outdoor, single-story buildings. Frequently, Metro Self Storage storage facilities feature both types of structures on their premises. Outdoor structures function much like household garages—in other words, they feature drive-up access to a unit with a roll-up door. In most cases, this is the only way you can access your unit. Select Metro facilities feature dual door access. Other features of our indoor and even outdoor storage facilities can include individual door alarms, climate control, and indoor boat and RV storage. Indoor self storage facilities are more common in urban settings that have higher densities and larger populations. These structures are typically refurbished buildings—repurposed instead of being torn down. This is a win-win for the environment and storage customers who appreciate the ability to choose green storage and enjoy pristine newly remodeled facilities. Some of the ways to access an indoor household storage unit include large freight elevators leading to multiple floors, drive through access, interior drive-up access to ground-floor units, or some combination of all three. The most common storage unit size starts at 5X5 and ranges all the way up to 15X30 and 20X30. Specialty sizes such as storage lockers or large storage units that range from 20X40 to 30X50, are available at select Metro Self Storage locations as well. The beauty of renting a storage unit is that more often than not the price per square foot is less than housing prices per square foot and less than commercial real estate space. The most popular household storage unit size is the 10X10. This medium storage unit is like having a small bedroom or large walk-in closet. It is ideal for seasonal and recreational gear and is amongst the cheapest storage units to rent. Unless, of course, the storage facility offers 5X5 storage units, storage lockers, or mailboxes for rent. When figuring out how much a storage unit will cost, size will be the leading factor. If you live in a big city, storage units will cost more than they do in a small town. You can save money by downsizing your possessions before you rent a storage unit in addition to looking for storage coupons and online promotions on your local Metro Self Storage website. WHAT IS THE AVERAGE COST OF RENTING A STORAGE UNIT? If you live in a region of the country with extreme temperatures, you probably want to look for climate controlled storage. Heat, cold, or humidity inside a storage unit will eventually damage your belongings. Storage units with controlled temperatures will cost more. Just how much? It will vary a little from market to market, but climate controlled storage units cost roughly 20% more than non-climate controlled storage units. For most people, the additional cost is worth it, however. Paying a bit more for storage will help protect valuable belongings. How much is climate controlled storage? 5x5 foot climate controlled storage units cost $45-$85 per month. Between the two types of storage buildings, you can expect climate controlled indoor units to be more expensive than outdoor non-climate units. How much an indoor self storage unit will cost may vary based on ease of access within the building. If you are willing to pay more, first-floor access might be a bit more expensive. However, if you don't plan to access your stored items often or you want to save a little money, rent an upper-level storage unit. Security is the most important feature to look for in self storage. Always rent from a self storage provider with at least some security such as video cameras and coded keypad entry. At Metro Self Storage, we take security seriously and offer additional features such as 24-hour video surveillance, CCTV monitoring, individual door alarms, fully fenced perimeters, ample lighting, and the requirement of disc cylinder locks as well as tenant insurance. It is a common misconception that in most areas of the country the more secure the facility, the more you will pay. You may find cheap storage units in your town, but if you do, take a good look at their security features. Also, look at a company’s online reviews. You don’t want to choose a facility based on cheap storage units alone. Especially, if that means compromising on the safety of your valuables. 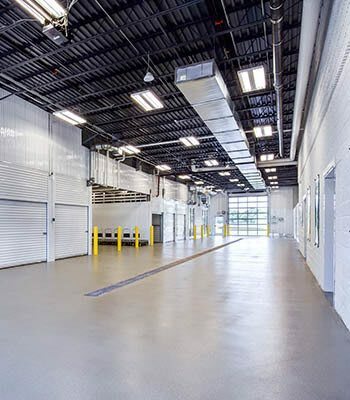 Storage facilities, like Metro Self Storage that adhere to a regular professional maintenance program, will build those costs into the price of storage unit rent. However, keep in mind, this will add a fractional increase to your storage unit cost because it is shared by all of the storage units at that facility. Surely, keeping pests out of your storage unit is worth the extra costs associated with a well-maintained storage facility. A storage facility’s prices, like any other type of real estate, are also determined by where it is located. The realtor's mantra—location, location, location—is just as true for mini storage prices as it is for home values. Large urban cities, resort towns, tourist destinations, and other sought after places to live come with higher property values. The more expensive the city, the more renting a self storage unit will cost you. Storage prices are also determined by where a facility is located within a city. For example, self storage in or near a downtown area costs significantly more than options several miles away. In large metropolitan areas like Chicagoland, you will have to go a little further from the city center to find cheaper storage costs than you would if you lived in Corpus Christi, Texas. WHY SHOULD I CHOOSE METRO SELF STORAGE? When you need household storage, you want to choose a storage facility like Metro Self Storage. Why? Metro prides itself on offering industry-leading security features, a professionally trained storage team, and well-maintained facilities that routinely hire professional pest control services. Our mini storage locations are designed to offer easy access to your items whenever you need, and our stellar service is backed by our Customer Satisfaction Pledge. Metro climate controlled units are designed with your comfort and convenience in mind and whether you need household, personal, or business storage, we will work with you to create a customized a storage solution. Our storage pros can also help you choose the right-sized storage unit for your belongings so you don’t pay more than you have to. We happily offer our customers storage tips and advice on how to pack a storage unit efficiently. All of these things are important when it comes down to how much mini storage costs because you don’t want to pay for more space than you need. Our professionally trained storage team will ask you a few questions about what you plan to store and how often you may need to access your items. Based on what you tell us, we will discuss a few unit sizes and give you the opportunity to view a few units before you decide. Metro Self Storage is your local resource when you need extra space. From household storage and business storage to recreational vehicle storage and packing supplies discounts, we help you get and stay organized with less stress. 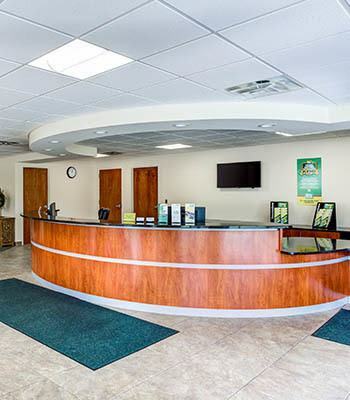 We pride ourselves on creating relationship-driven facilities where people come first.